90 Days. 90 Entries. Nearly 200 ideas of kindness and cruelty shared. Over 50,000 words. 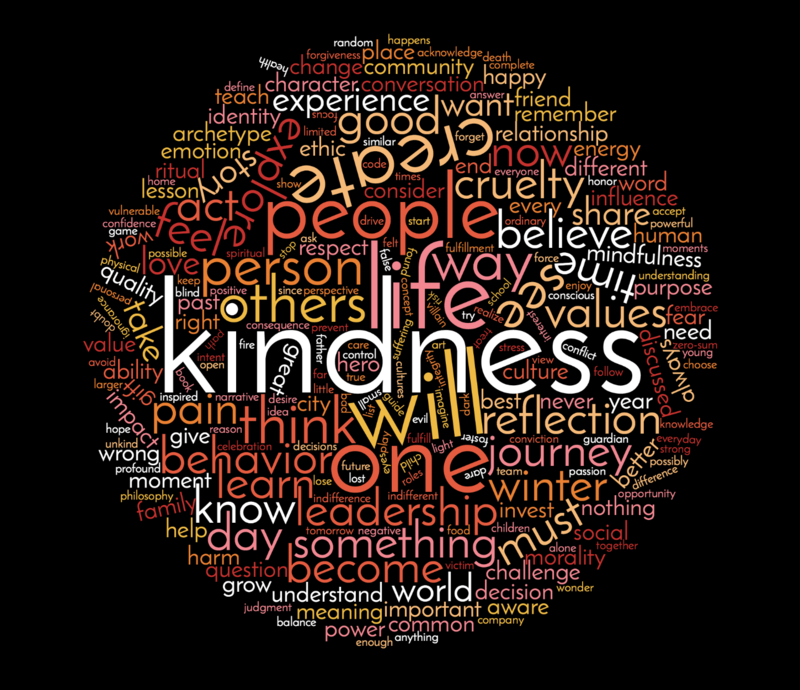 These are the most commonly used concepts during winter of kindness. What do you see when you look at this image?